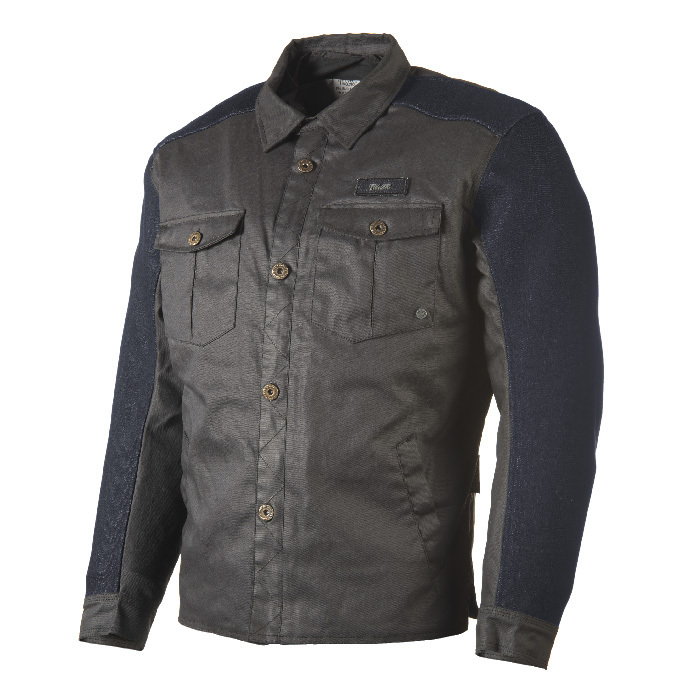 Inconspicuous, yet sophisticated jacket of HERITAGE collection, made for freestyle and comfortable riding. The top material is made of Wax cotton that does not have oil-greasy finish, and gives the KICKSTART jacket the right vintage look. The 2 layer construction makes this jacket an all season equipment. Trilobite brand equals the premium aramid fashion, so even this jacket can not miss the protection of Kevlar® by DuPont™ aramid fibers. Denim panels on the jacket are made of Trilobitex® technical denim which contains aramid fibres and nano membrane inside. Tri-Tex® membrane with high level of WTP 10 000 mm and breathability (BRTH) of 10 000 g/m2/24h and Thermolite® thermo insulation lining are connected to the jacket when you need it. 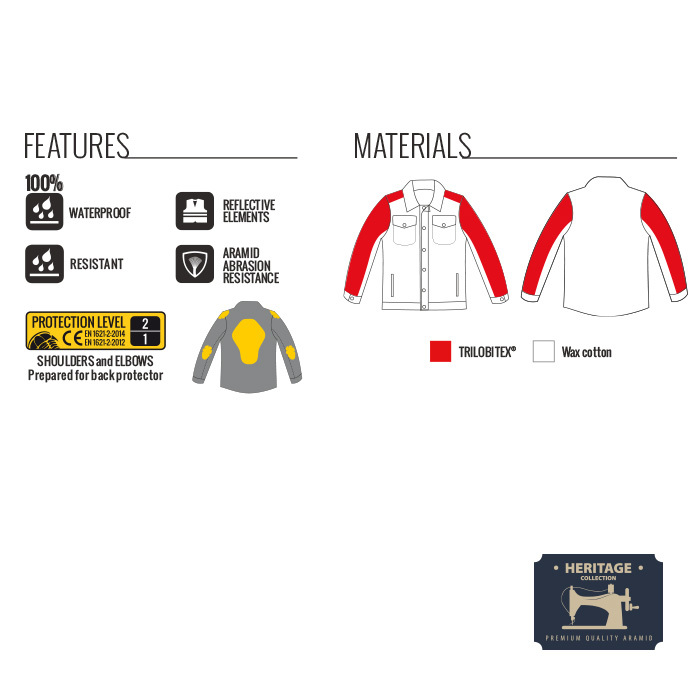 All these features give Kickstart jacket extensive abrasion and water resistance. 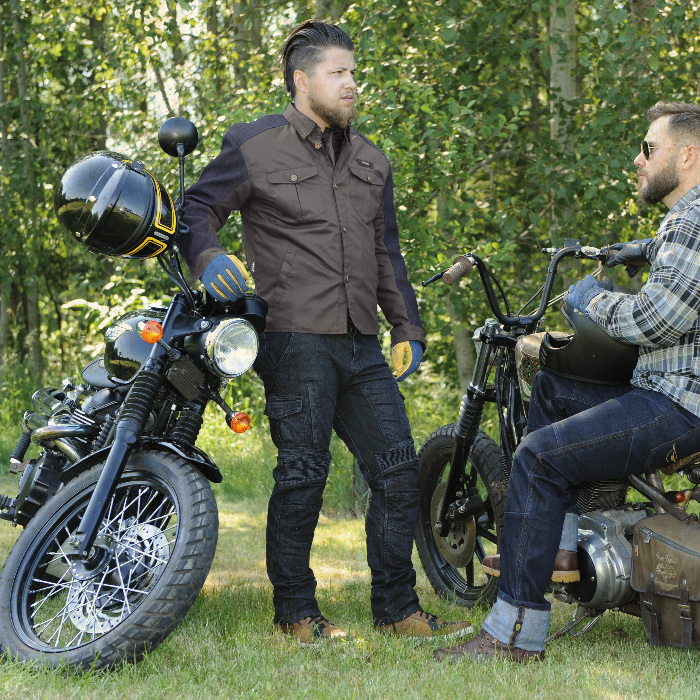 Trilobite Kickstart is a comfortable jacket thanks to its simple design and clever features such as back gussets that add the comfort while holding the handlebars of the motorcycle. The jacket is equipped with Trilobite Premium Protection CE Level 2 protectors at the shoulders and elbows, and a pocket for Trilobite Premium Protection CE Level 2 at back. 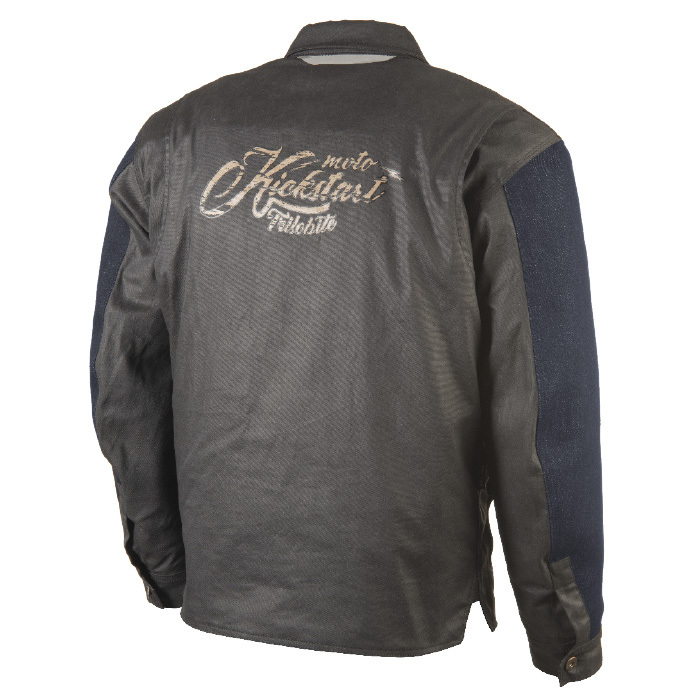 All zippers on the jacket are high quality YKK, all important parts are triple stitched, and to increase the visibility on road, Kickstart jacket has a reflective stripe behind the neck on the back. Adventure custom riding, men EU sizes (S - 3XL). Perfectly matches with Trilobite® Ton-Up and Symphis Rocker jeans.